This is the piano my dad (and my Uncle Vic and Aunt Ellie, as well) learned to play on in the 30s. It’s a Cable Nelson, not a first cabin piano, but serviceable for depression era families. I understand a nice concert piano can go for something like $100k. This is not one of those. 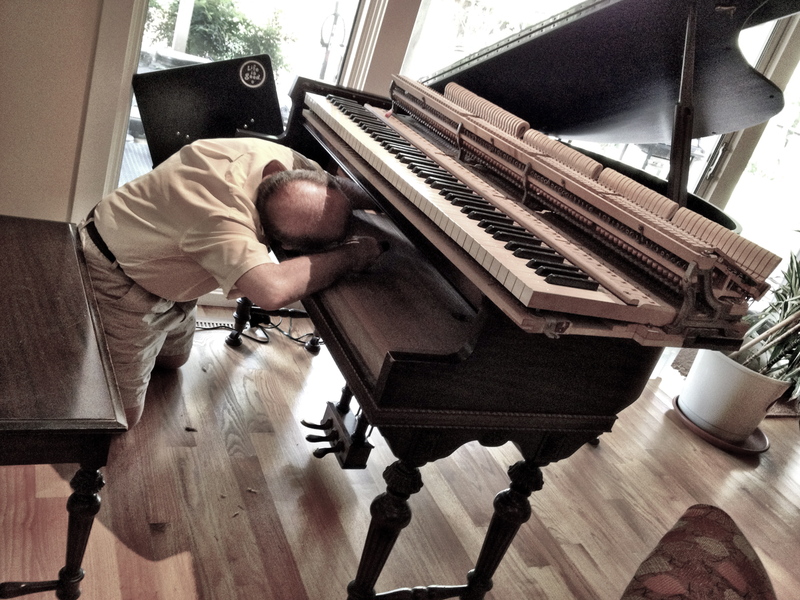 The piano is basically Peter’s… he’s the one who plays it all the time. Knowing it was going to be tuned this morning, he actually came right home from school, dropped his pack at the door and bolted straight over to sit down and play. He was thrilled the right pedal (the sustaining pedal, I think Larry called it) was connected again and worked. Things are going to sound very different around here from now on.